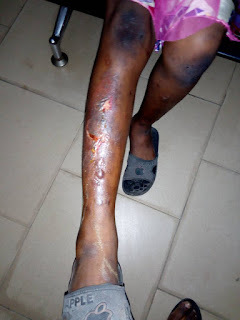 The Commissioner of Police, Lagos State, CP Imohimi Edgal, has ordered for the arrest of one Nkeiruka Ngwu for mentally and physically inflicting grievous wounds on her 10 year old housemaid using heated iron and hot water. 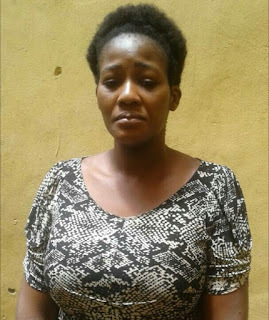 36 years old Nkeiruka of 47 Ogundana Street, Allen Avenue Ikeja, met her water loo on Wednesday March 7 this year after she allegedly used a well-heated clothes iron to cause grievous injury on the victim's hands and legs. Also, she was accused of pouring hot water on little Chioma which scalded her skin. 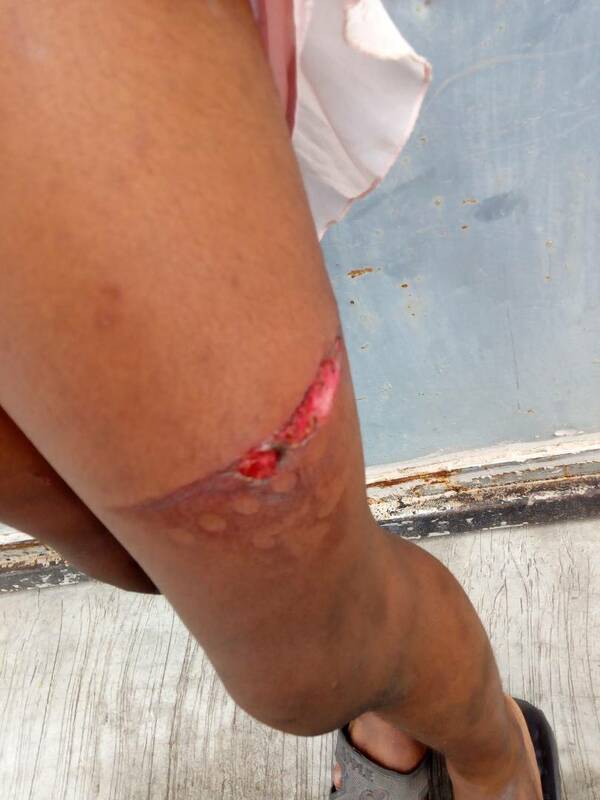 In a media release the Police Public Relations Officer, Lagos State Police Command, SP Chike Oti, issued on March 10, concerned mothers who saw the injuries on the child called the CP's attention after a previous warning to the suspect. Nkeiruka, the mother of four, was dropping her children off at a private school in Ikeja that morning when the prying eyes of other parents dropping theirs off saw the grievous marks on the upper and lower limbs of Chioma, who was said to have accompanied her madam. Having interviewed the little girl, these parents waited for and confronted Nkeiruka. According to police report, the angry parents almost unleashed their fury on her but for the intervention of the school teachers. Therefore, the suspect was warned and urged to take the girl to a hospital; lest, they would make a petition to the CP Lagos State. 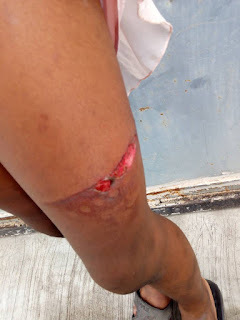 In spite their warnings, on Friday March 9, Nkeiruka was seen dropping her children off at school while little Chioma accompanied her with untreated wounds. 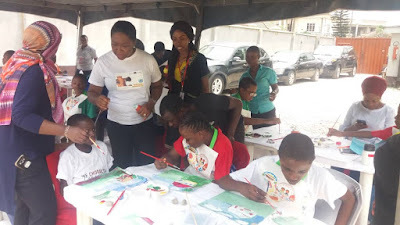 Hence, the concerned parents called the attention of the Lagos State CP. Having been known for his swift intervention on crimes against children, women and vulnerable persons in the society, Edgal ordered for the immediate arrest of the adult offender while he directed the Gender Section of the Command to take the child-victim to police hospital for proper medical attention. Accordingly, he instructed the Unit to ensure that the girl was well-fed until the Social Welfare Department of the Lagos State Government comes for the girl. According to police report, Nkeiruka had brought Chioma (surname withheld) to Lagos from Umuoju, Ngwu in Abia State this January after the death of the little girl's father. Although the offender had promised Chioma good life before taking her from her people, Nkeiruka made life a living hell for the child. She was mentally and physically abused with countless injury marks as seen in the photos. While investigation into the case is in progress, the Lagos police has assured that the offender would have her day in the court of law today Monday March 12.